After my disappointment with The Body Shop’s new eyeshadows, I was happy to discover just how wonderful the new Baked to Last blushers are! Weighing in at 5g and costing £12 each, these can’t be described as high street bargain buys. But, I guess you’re getting your highlighter thrown in too… and the price in this case justifies how great they look once applied. When both shades are swirled together, this cool-toned pink blush takes on a slightly more neutral yellow-pink hue. I can see this being flattering on most skintones. Staying power on these is average, and despite being seemingly infused with sparkles, they stop short of making your cheeks look too glittery or metallic. A great choice for everyday wear. I’m particularly loving wearing these in conjunction with the new bronzers (well, one of them). Review of those to follow. If you had to, which would you go for? 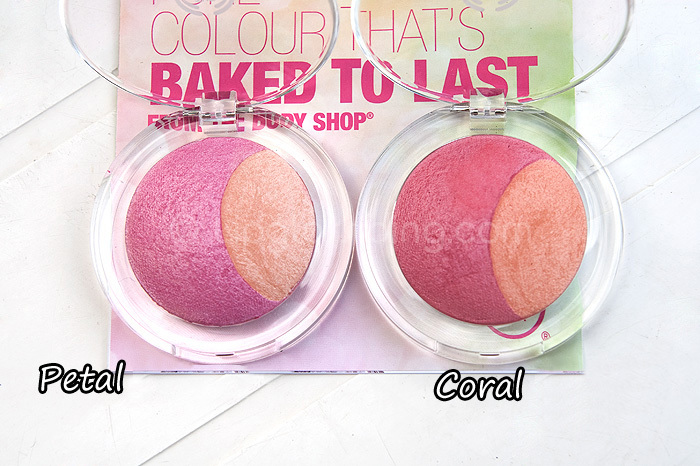 Petal or Coral? petal is pretty! you don’t really want your blusher as pigmented as your eyeshadow anyway cause you are going for a more subtle look. 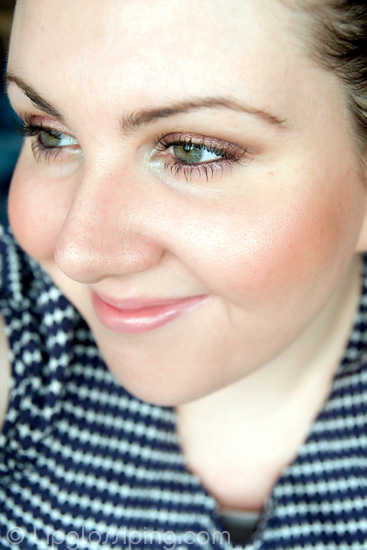 Like the idea of highlighter and blush in one! The coral is pretty but would probably be a little dark on me. How does the petal look when it is applied? are they comparable to Mac´s Msfs from the in the groove collection? I’d go for the pink! I always gravitate towards pink even though coral may well look more natural on my asian skin! Oooh, petal for me please! Can you tell me when these will come out? My Body Shop MUA didn’t even know about these. Thanks. petal, definitely. coral’s on any place other than the lips just scare me. i’ll be on the lookout for these! Petal definitely. Coral would probably be too bright on me and my pale skin. I like that the highlight colour built in too. They look a bit chalky on your hand, but gorgeous on your cheeks. 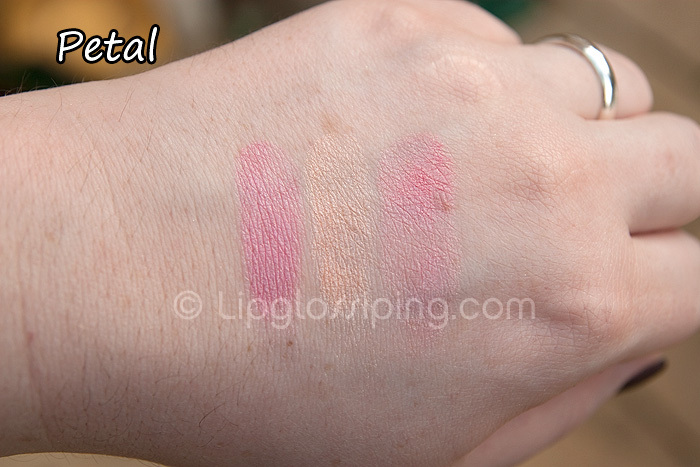 Hmm, well i normally go for a corally blush so i’d automatically go for that ordinarily. However, it does look a bit warm even for me so i’d say the petal in this case- although i don’t really like light pink blush that much. Have you tried the body shop lip and cheek stain? I frigging love that stuff, wear it every day! 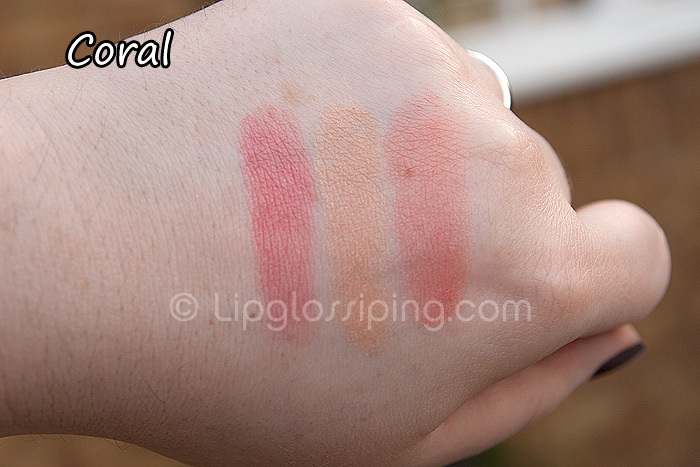 I think coral’s prettier but I’m afraid the shade’s too dark for me, so I’d probably got for petal. That looks lovely too. I love that coral one!!! Any dupes for it perhaps? Eek, eek, eek! I’m terrible at dupe hunting… ummmmm…. Coralista isn’t that far off actually… a little pinker, but the same deepness of colour and simillarly shimmery. I think the coral looks really pretty, I like the fact that its not too sparkly. These look gorgeous! I love TBS makeup. I just wish they would lower the prices a bit so I don’t have to wait till semi-annual sale time to buy! I used to be suggested this blog by my cousin. I’m now not sure whether or not this submit is written by him as nobody else know such distinctive approximately my difficulty. You are wonderful! Thanks!